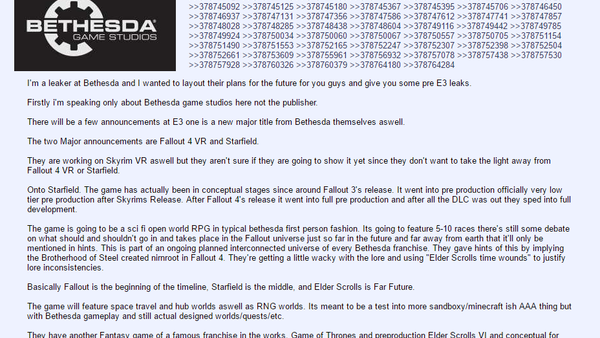 Ready your healthy doses of salt and remain incredibly dubious, but in August 2017, a user on 4Chan posted an extensive 'leak' concerning information around Bethesda's brand new IP. He claimed to have insider knowledge of the game, and gave away copious amounts of information pertaining to it. In his leak, he reveals Starfield to be a sci-fi/fantasy RPG with a focus on exploration and creative worlds. He goes onto compare gameplay to Minecraft and explains that there will be twelve detailed companions, with each one being romance-able. The leaks read more as a super-fan's idea of a perfect Bethesda game, rather than a solid leak. However, considering the coverage of Starfield across the internet and the number of people using this leak as solid information, it is important to address it before getting into the meatier aspects. 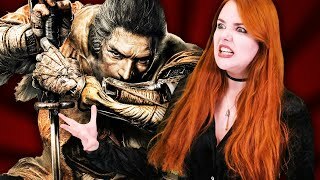 I like video games, writing and writing about video games. Expect sarcasm and the dry wit of a Brit. And the occasional rant of a unhappy Scot. You know... the usual.